I feel so passionately about this topic that I had to write a blog post about it. I, like you and countless other Americans, have been fed up with Comcast's intentionally deceptive business practices, fate-worse-than-death billing issues, and customer "service" stonewalling for years. Unfortunately, as I've preached to my cohort for an equally long amount of time, Comcast does, in most cases for most people, offer the best product in the service category I'm writing about, i.e., internet service. Despite what a soul-sucking experience doing business with Comcast is, it's been a necessary price I've had to pay to keep certain hobbies afloat, namely online gaming, Netflix binging, and Wikipedia rabbit holing. Until now, that is. I recently decided to give Comcast one final chance to keep me as a customer for one more year. 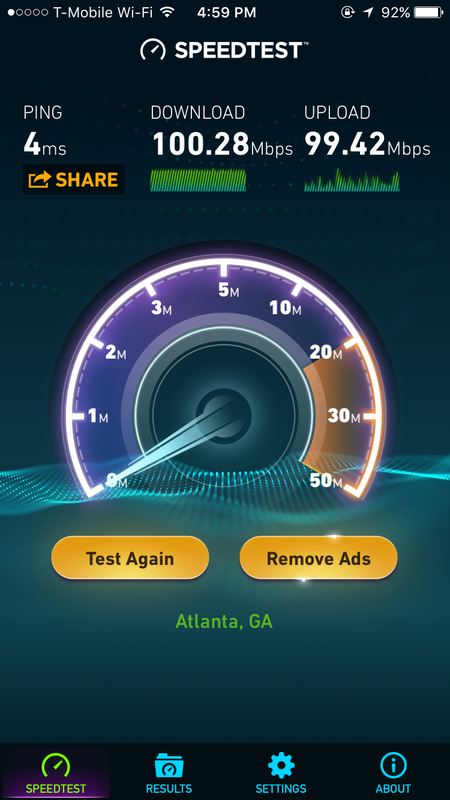 I was upsold to a new internet tier (3x the speed) and promised it would be only $10 more per month. I explained that I wanted nothing to do with any cable television services and even less to do with any Comcast equipment in my home, as I use my own modem and router and cut the cord completely on traditional television 3+ years ago. Sure enough, I received my bill two days later. And sure enough, it was wrong - as it invariably is during any sort of billing/package transition with Comcast. Instead of going from $29.99 flat per month (as it was for the previous 11 months) to $39.99 per month as promised, the bill was for $54.53. It's not about the $14.54. It's never been about $14.54, $54.14, or any other sum of money. It's about the principle of a company extorting its consumers who are, quite frankly, largely complicit in the problem. In most areas without any viable alternative to the same quality level of internet service, the average Comcast customer reads his or her bill, questions nothing, and pays the bill without giving it a second thought. And again, this tirade has nothing to do with such paltry sums of money. But the problem is that this collective apathy for Comcast's consistently deceitful behavior as a company is what leads to such a company having the power to do so in the first place. I spent zero time considering my next move. I went back to the email Google Fiber sent me and immediately began the process of rage-signing up. Starkly contrary to anything Comcast-related, it was the easiest process in the United States. No phone calls, no devil in the details, no BS - just a measly $10 deposit, which they credit to your first bill anyway. 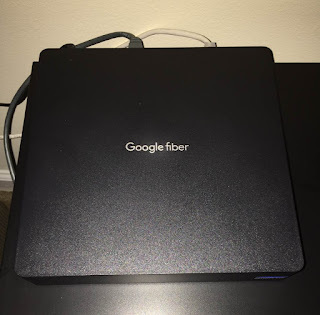 Better yet, even though they offered fast 2-day shipping to receive the required hardware (a modem/router combo unit), I also had the option to go to a Google Fiber Space in Atlanta to pick it up myself, which I was able to do the exact same day. 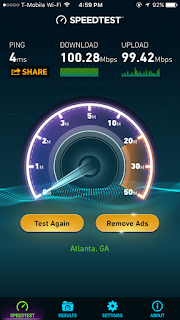 100 mbps up, 100 mbps down, just like that - for $50 flat. I could have gotten 10x the speed at 1,000 mbps for $70 per month, but because dumb Xbox throttles your download speeds, mine caps out at about an average of 85 mbps, so there'd be extra value for me there. No fees, no equipment rental, and for renters, no contract. Even if you are a homeowner and require a 1-year contract, the price to break it is totally fair/reasonable (more on that here). Sometimes, it's not too good to be true. Sometimes, it's a good company providing a good service/product for a good price and in a good manner. To fellow consumers. If and when Google Fiber arrives in your area, don't even think about this; there's no decision to be made. Just do it. Your life will be better without Comcast in it, you can keep more of your hard-earned money instead of having it stolen, and you can perish the thought of ever dealing with them again. To Google. You keep doing you. And please, for the love of God, keep expanding to new areas in which you're able to offer Fiber. If you continue with your current business and service model, I'll be your customer forever. And by the way, I'm not naive. You could be the bad guy in 3, 5, or 10 years. As discussed on Episode 2 of the 2v1 Podcast (please excuse our horrendous production quality - it was a long time ago), you're definitely the kind of company that could one day provide my self-coined "Allservice." Thankfully, capitalism is supposed to be what keeps you and your competitors in check. In the meantime, keep doing awesome things in awesome ways, and your customers will reward you with their loyalty. To Comcast. I'm so tired of the way you've abused me and the rest of your customers for so many years. I don't need to swear. I don't need to scream. I'm just done ranting because there's really nothing left to say. I will say that I truly believe you reap what you sow, and I sincerely hope this is the beginning of your chickens coming home to roost. Until we (never) meet again.